Awesome Pic of the Venus Transit! 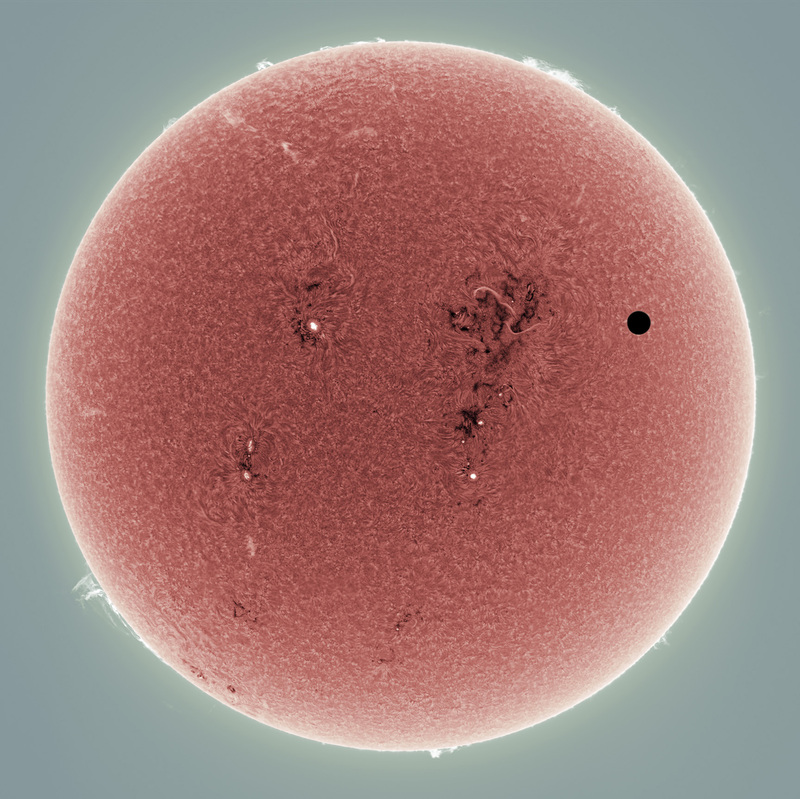 This is an amazing false-color image of the sun as Venus passed in front of it. (Venus is the black spot at about 2 o’clock on the pic.) I find it a strangely serene photograph — certainly much different from those solar tornadoes we say back in February. I found this in a post thanks to Phil Plait‘s excellent and informative Bad Astronomy site — which is actually good, because he points out instances where the science of astronomy is used badly (and also good stuff). Phil blogs for Discover magazine, so you know it’s on the level. Phil received this image from a photographer named Alan Friedman, who did all the heavy lifting. You should follow Phil on Twitter @BadAstronomy to keep abreast of the latest science news.